Though they love to tell a good story that’s usually steady, mid-tempo and gradually unfolds, there comes a time when a singer-songwriter wants to let loose and put more rock to their live show. So how do they pull it off and still stay true to their folk and storytelling roots? 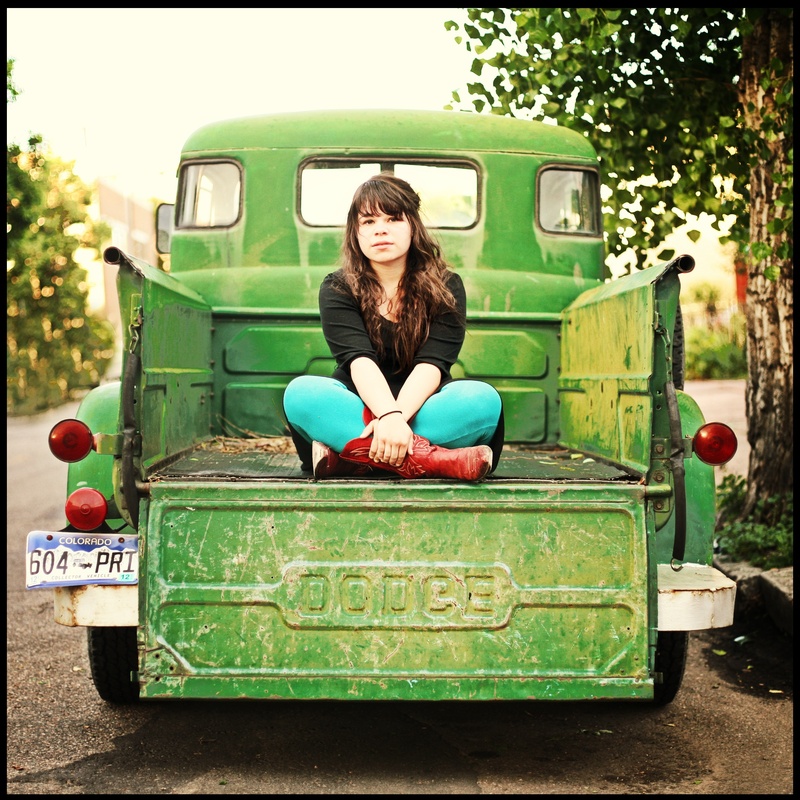 On her sophomore album You (Understood) 23 year-old singer songwriter Samantha Crain traverses through her songs with a likeness in songwriting and style to Joanna Newsome and Cat Power. And inspired by those influences Crain adds her own nuances, rawness and edge. Her mix of folk, pop and indie-rock both tugs on and kickstarts your heart. And with emotive lyrics filled with hope, pain, joy and angst, she lures you in and keeps you wondering what’s around the corner with each passing song. Her shows on her current tour have been described as having “an avant-garde feel and aggressiveness live that’s new for her.” And Crain’s new band is a trio with a nice bearded fellow on bass/vocals and power hitter chick drummer. And after watching the video above for “Sante Fe” — that was directed and shot in New Mexico by Native American filmmaker Sterlin Harjo (Barking Water) and features Sam’s labelmates Frontier Ruckus — and listening to the swooning ballad “Lions” from her new album You (Understood) my curiosity was piqued about what it would be like to see her live. So here’s what the 23 year-old Oklahoma-born, Choctaw songwriter had to say when we talked about the Little Things, her dream venue and something that most fans don’t know about her live show. LF: How have your live shows over the past year influenced and inspired your new album You (Understood) . Are there any shows or live music moments in particular that stand out more than others? SC: I think over the past year we always wanted to “rock out” a little more on stage so we would change the song a little bit from the album version to do that (e.g. speed up, more dynamic parts, etc). So with You (Understood) we just recorded the loud guitars and sped it up from the get-go. We rock out on the actual recordings, so now we can REALLY rock out at the live shows. I’m looking for people in the audience that are really trying to connect with me. I’m looking for people trying to get the most out of this show they came to. That is real-time inspiration for me. I can take that energy and use it immediately in the show. I am always really interested in the little personal touches people add to their instruments and amps. Seeing stickers on drum heads or cool guitar straps or paintings on amp clothes or anything like that is really neat to me. I keep an eye out for that. What was your first live concert like as an artist and what did your learn from it? I don’t really remember the first time I played live. I’m sure it was at an open mic or something, but it wasn’t that memorable; nothing sticks out about it. I already played it! Cain’s Ballroom in Tulsa, OK with the Avett Brothers. The way that Scott McMiken from Dr.Dog moves on stage while he’s playing is so cool to me. I’m always trying to pick up on the way certain people move and learn from that. I love seeing the participation of the show, looking over and seeing that my band members are into it, the bartender is into it while pouring drinks, the sound guy is into it, the people that came to the show are watching and bobbing and into it. I like it when that room feels like its own universe. If I could change one thing about modern live performances though, I would make sure there weren’t TVs on in places where the shows are happening. That just ruins the vibe. I keep a bucket on stage with me. It moves around to various locations in each show. I use it to carry my cables and pedals in but I also keep a list of my songs propped up in there during the show. That bucket used to be the “snare drum” to a junkyard drum kit that my friend, Beth, and I made when we first started touring. Also, I almost always get the verse order of “Rising Sun” and “Scissor Tales” messed up while I’m singing on stage. You’ve gone from playing a smaller venues like Schubas in Chicago on to playing a large music festival like Bonnaroo the following day. How does your mental or emotional approach change going from such different venues and live show environments? I’ve made those sorts of transitions so many times now that I don’t think it requires any special preparations but I do change my set lists according to where I’m playing; slow and quiet songs can be done in intimate venues but at festivals it’s really hard to pull that off because there is so much noise most of the time. Sharon Jones is my favorite live performer. She has it.